CatsPlay states the bed mounts quickly – “less than 2 minutes” – and easily. Weight isn’t mentioned on the product page but count on it being fairly substantial considering the original barrels were crafted from solid oak and forged steel – no cheap plastic, please and thank you! 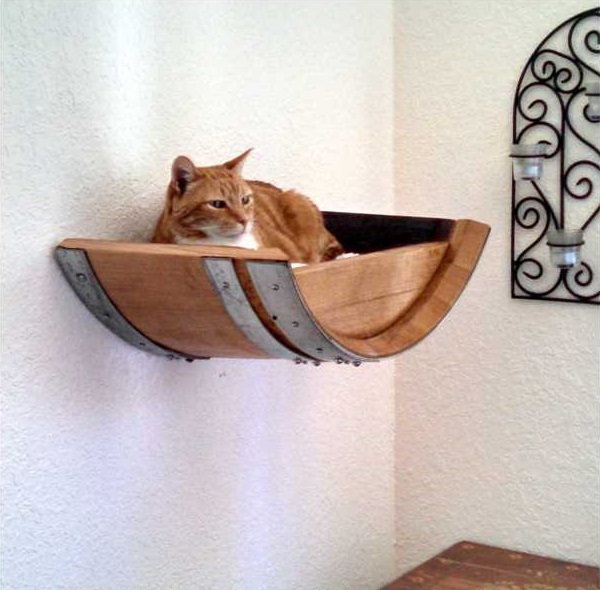 The cut wine barrel sections that make up the basis of the Wine Barrel Cat Wall Bed are serendipitously cat-sized, measuring 23 long by 12″ wide and x 7″ deep. The bed’s compact size and hidden mounts make it ideal for smaller rooms where floor and wall space is at a premium. 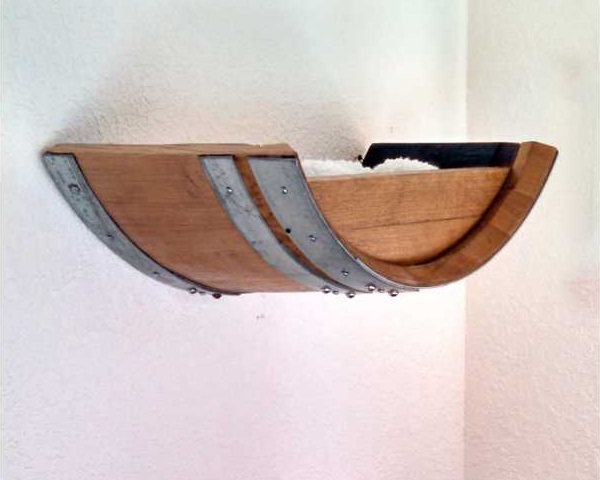 The barrel’s exposed interior surfaces have taken on a rich, burgundy hue acquired after many years of use at a Napa Valley winery – we presume they’re not aromatic enough to offend your cat or kitten. Wondering what wine best accompanies a vintage blues album? Check out Here’s To Hue: Gik’s Shocking Bright Blue Wine!